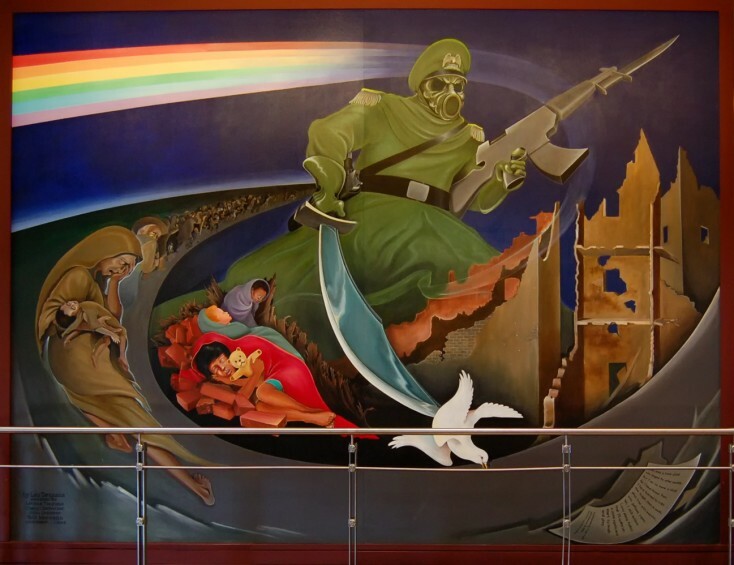 DENVER, CO – Horrific murals line the walls of Denver International Airport, however, most travelers fail to notice the Denver Airport Paintings or their sinister meanings. Upon closer look, one must wonder why such artwork is on display in a public place such as an International Airport? 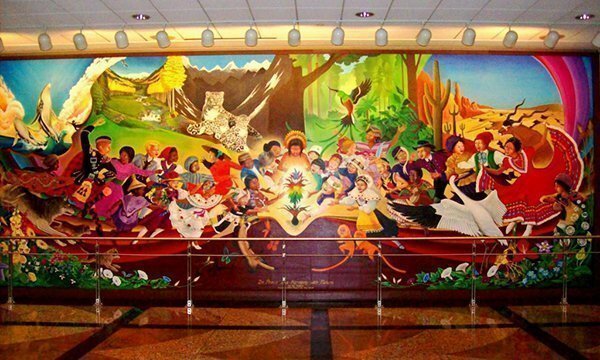 After reading this article you may look at the Denver airport murals in a very new light. 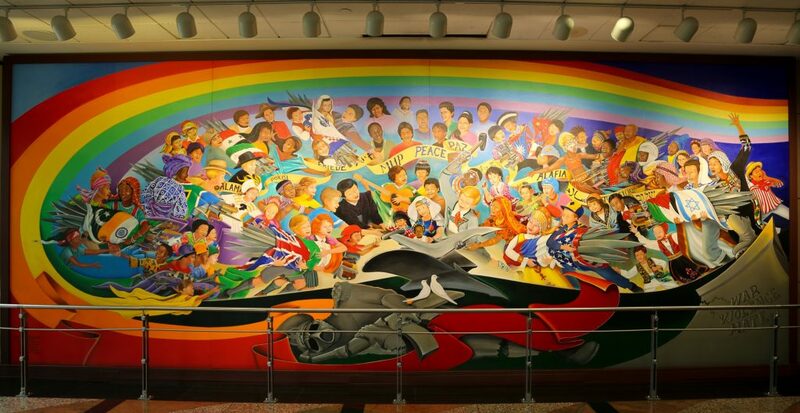 The Denver Airport Paintings always give me a creepy feeling anytime I find myself at DIA. 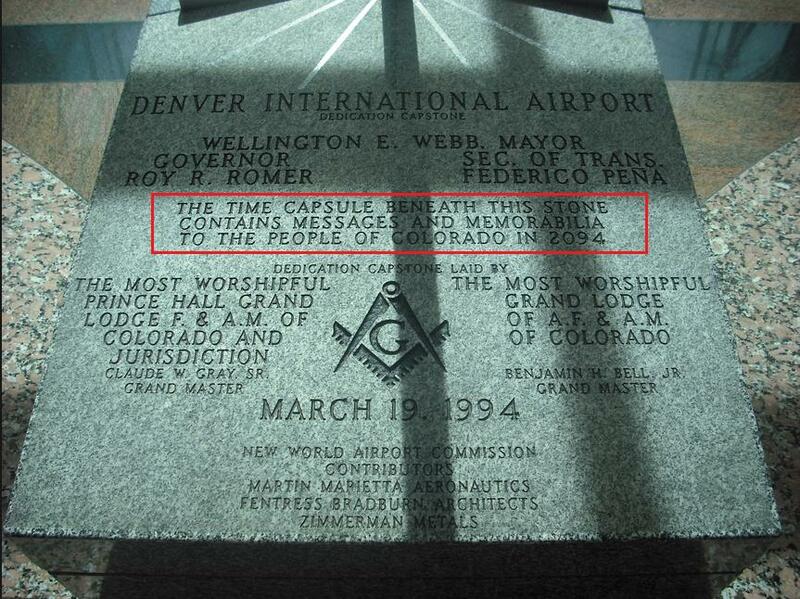 And it’s not just the art, but the whole Denver airport conspiracy that really makes me wonder and open my eyes when I find myself in Colorado. 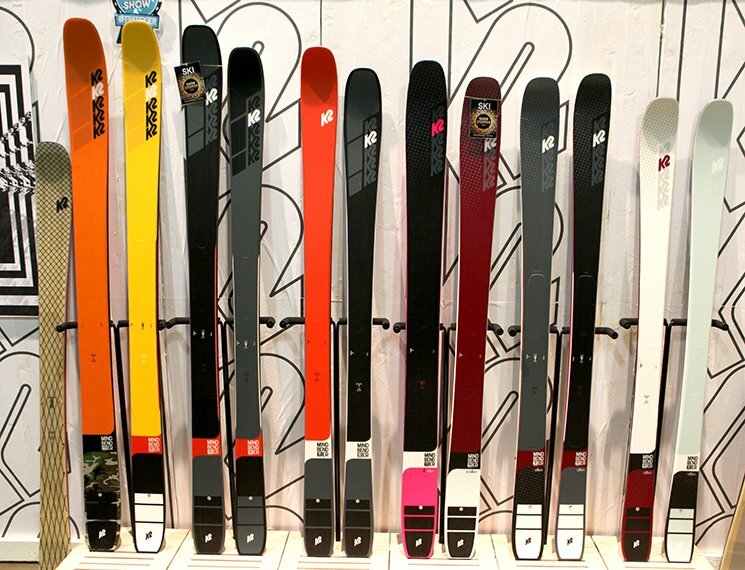 The images shown in this article are far from soothing and came at a cost to Colorado taxpayers in the amount of $100,000. The symbolism shown below is surely unique. This mural has me at a loss for words, titled “Order of Chaos” could this be a sign of times to come? We see a military figure that resembles a German SS soldier wearing a gas mask with a machine gun in one hand and a sword stabbing a dove in the other. The dove, a symbol that has been used in post-war peace movements shown being stabbed doesn’t sit well with this author, not sure about you? -On the left side of the mural is a mother holding a dead baby with hundreds of other mothers lined up doing the same. 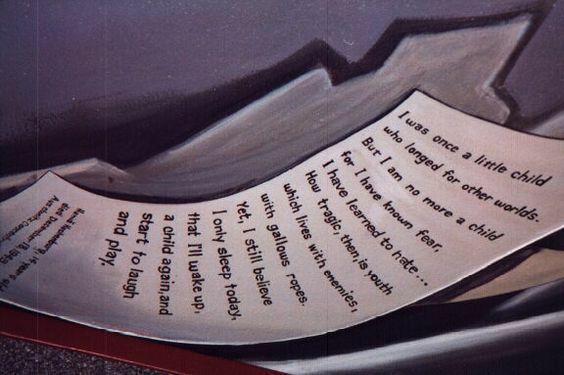 -In the right lower corner (you can barely see it in the photo) is a piece of paper containing an actual poem written by Hama Herchenberg a 14-year-old who died in a Nazi concentration camp. a child again, and start to laugh and play.Hama Herchenberg, died December 18, 1943 Auschwitz Concentration camp”. 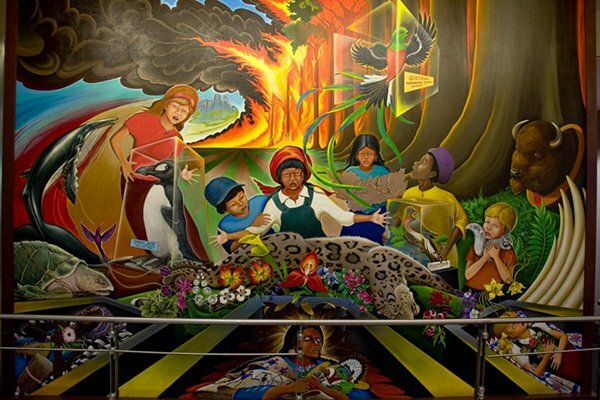 Aside from the forest and city burning, children laying in coffins and animals that seem to be extinct these seem to be nice pieces of artwork created by Leo Tanguma a Chicano muralist. 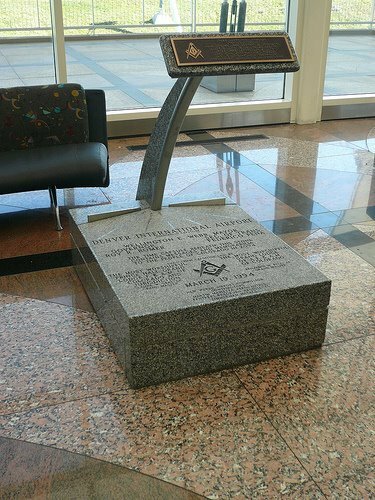 Smack dab in the middle of the DIA terminal lies the cornerstone show above. 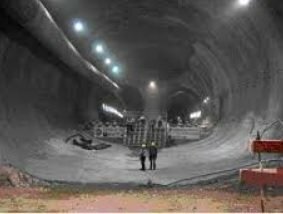 Upon closer look the words reveal themselves to possible sinister things to follow as stated by the New World Airport Commission. 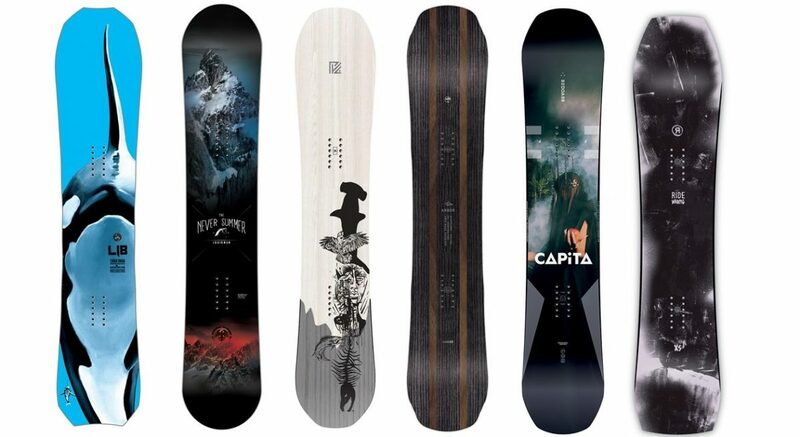 Should we start talking about what’s under the base? 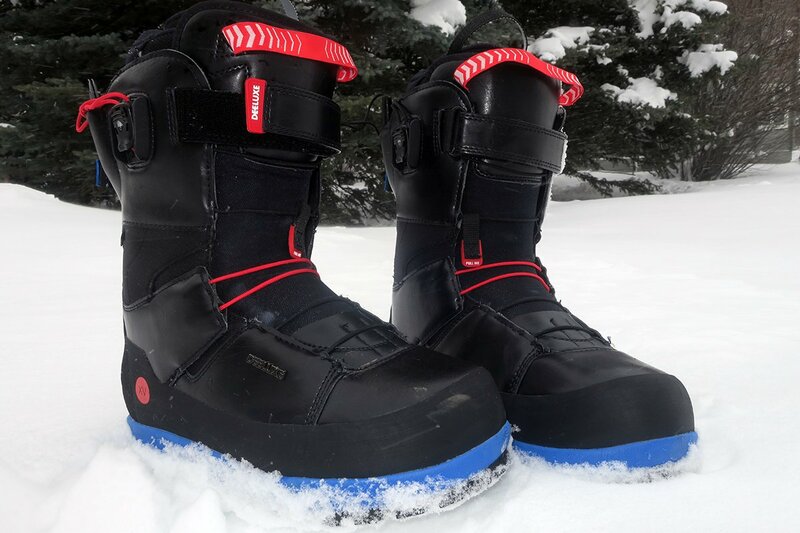 Colorado is a funky place this day, especially at the Sunrise Ranch Cult in Loveland Colorado. 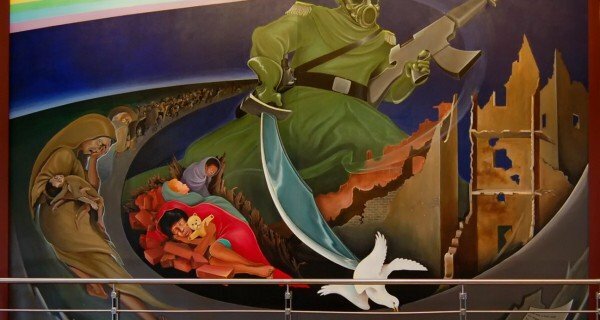 Graphic murals depicting war, death and destruction in an airport? The one percenters seem to have a particular fondness for shocking others with their depravity and then daring us to call them on it. I can’t think of any reason this other than to acclimate the public to such gruesome images.